This is probably every man and boy’s dream of what to do with a loft conversion. Why not make this dream a reality and add a sofa, games console and TV, pool table and even a fridge for refreshments so you don’t have to descend the stairs to the kitchen! You might never see your male relatives again. A kitchen is probably the last thing you’d imagine in a loft conversion, but why not? For those awkward sloping roof surfaces, the island with sink and food preparation areas would ideally sit in the centre of the room so there’s no stooping involved. The oven should also be positioned where the point of the roof is the highest. For those spaces under the eaves, storage cabinets and base units fit perfectly. Whether you want to move the kitchen to the top of the house or want two kitchens – it’s an idea that works surprisingly well. Whether you have a child who wants permanent use of a loft bedroom, or it’s converted into a spare room for sleepovers – loft spaces make fun rooms for kids because of their unique shape. Bunk beds and a mezzanine with a comfy bed reached by a ladder just under a skylight, will make a wonderfully cosy den that kids will love. When it’s not in use for sleepovers, it can be a pleasant chill-out zone for reading or homework. 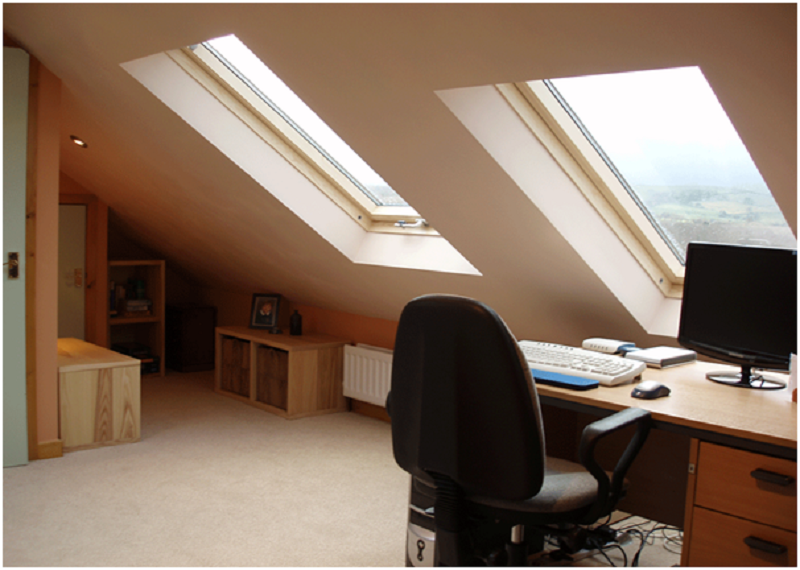 Loft areas are perfect for a home office, with that space under the eaves almost made to fit a desk underneath. Installing windows just above the desk will provide lots of natural light, as well as sky lights too. Try to have windows low enough to get a good view, which can be stimulating and productive. Windows too high for an office can give a claustrophobic feel. For the ultimate chill-out zone, why not create a spa-like bathroom where you can escape at the end of a hard day’s work. 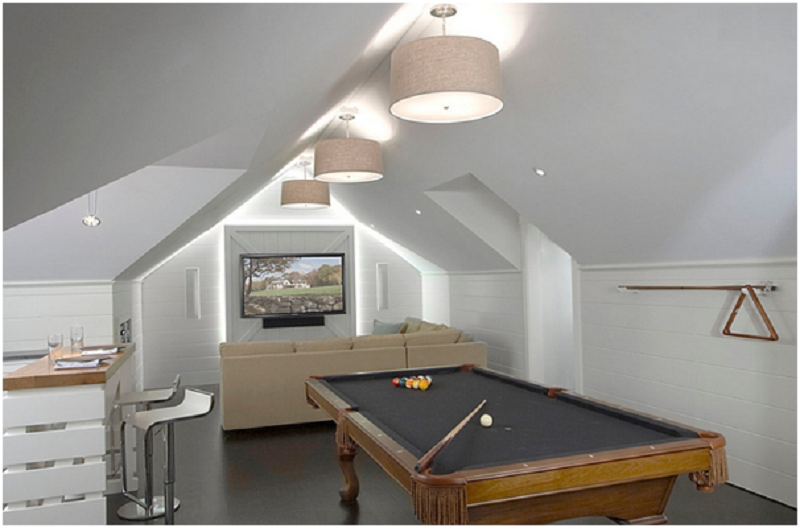 Narrow, awkward spaces can be used to add a day bed with LED lights overhead to look like stars. A free-standing tub, some sky lights and maybe some artfully exposed brickwork could turn this space into something incredibly special and zen-like. Previous story Living in an Oast House in Kent.